Boston Harbor Auctions is hosting an auction Oct. 16 of historical artifacts of significance to the America’s Cup legacy and the sport of yachting itself. 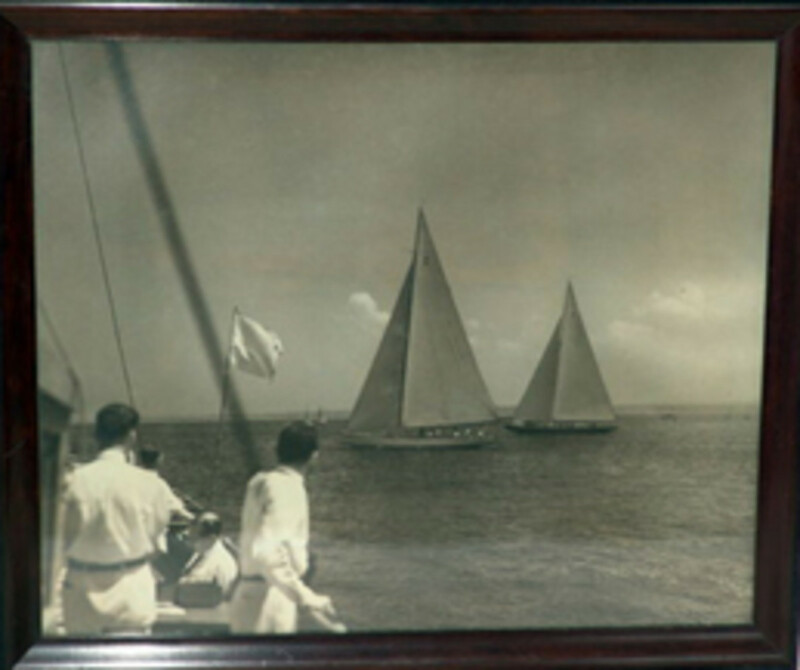 There will be a large assortment of original press photographs from the America’s Cup races over the years, dating back to the 1930s. Two items up for auction are trophies presented by the Newport Yacht Racing Association when Columbia beat Independence in what is considered a “playoff” series for the Cup in 1901. After knocking out the Herreshoff-built Constitution in the trials a year earlier, Columbia went on to defend the Cup against Shamrock and was successful. Click here for information and click here for a photo album of the items to be auctioned.